A few years ago I struck vinyl gold while living in Dallas, TX. A friend of mine from Good Records (Chris Penn aka DJ Cee Pee), put together two boxes of hand picked metal records for me. He had just picked up several hundred used records from a Dallas college radio station as they were throwing them out and going digital. Although many of the classic albums included had some pretty good wear going on with the sleeves, the actual vinyl was in excellent condition. It was a vast selection of 70s and 80s metal; a gift from the vinyl gods above. 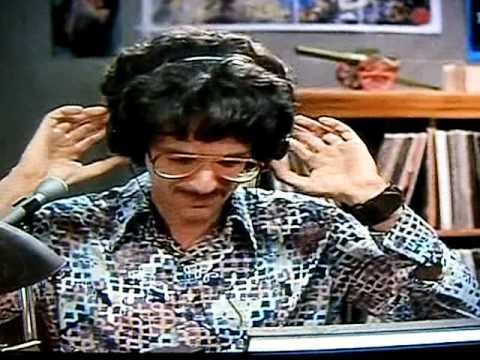 Back in the 70s, college radio stations would put notes on the front of each record with comments from other DJs at the station along side a description of the band. Reading these notes today can be quite entertaining as you are about to see. 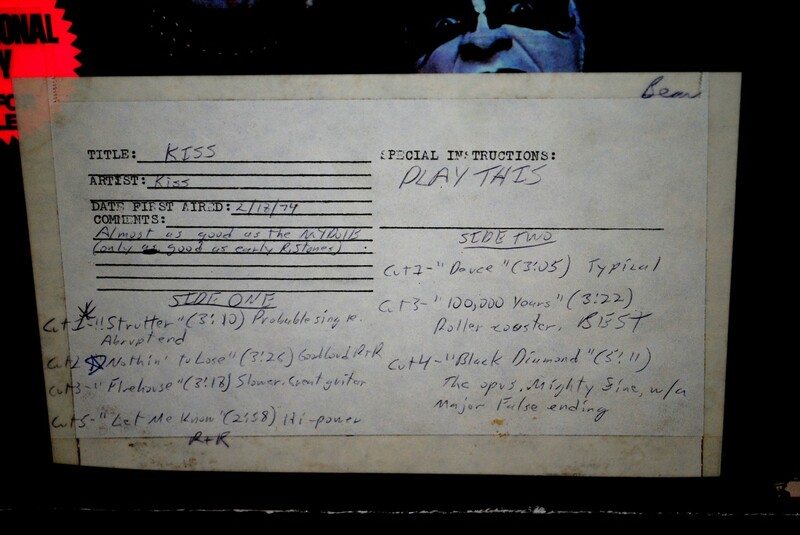 Here are two gems from KISS along with the original notes and comments from the DJs themselves. 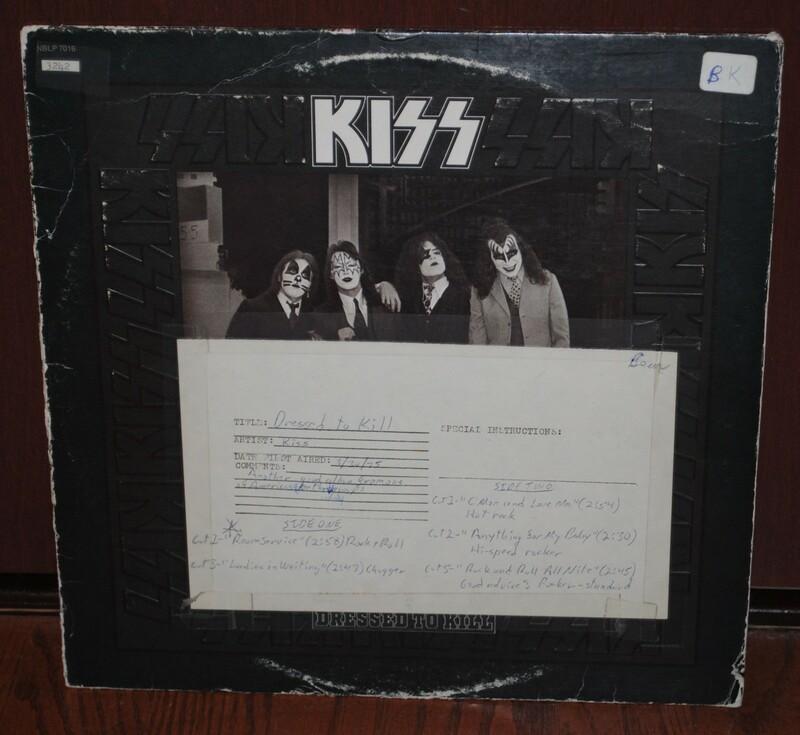 KISS – The eponymous debut. When it was released on February 18, 1974, Kiss had been a band for a little over a year. Much of the material on the album was written by Gene Simmons and/or Paul Stanley, as members of their pre-Kiss band, Wicked Lester. Simmons estimated that the entire process of recording and mixing took three weeks. Photographer Joel Brodsky thought KISS were literally clowns, and wanted to place balloons behind the group for the shoot. Here are the actual notes from the station DJs. Date first aired: 2/18/1974 (the album’s release date). Special Instructions: “Play This”. Comments: “Almost as good as the N.Y. Dolls (only as good as early R. Stones).” Click on the photo to enlarge and read the individual song notes. 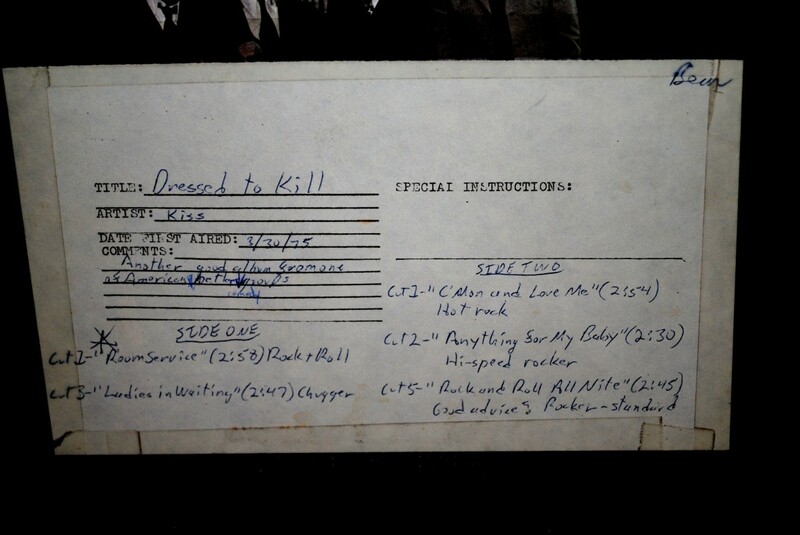 Dressed to Kill is the third studio album from American hard rock band Kiss. 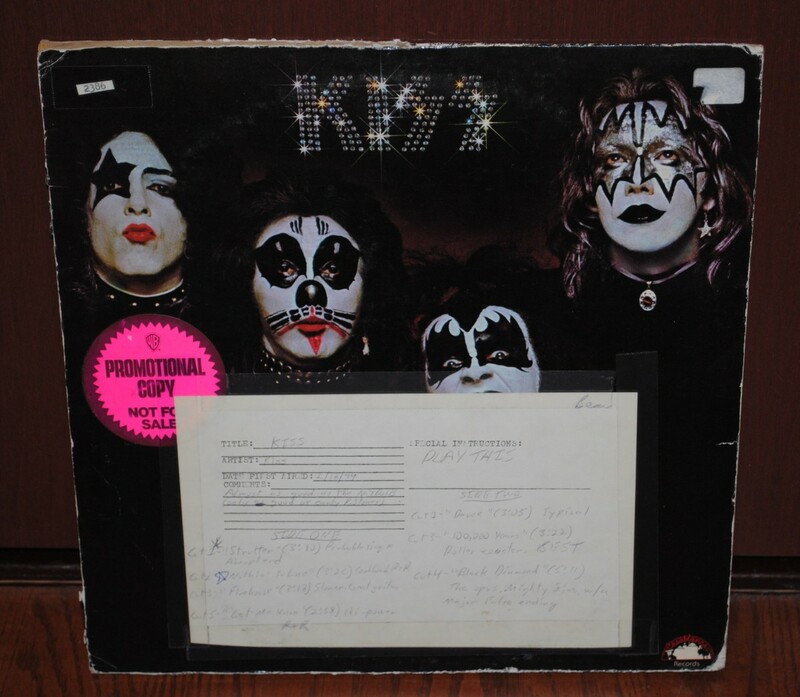 It is unique for having been produced by Casablanca Records president Neil Bogart, as the financial situation of the label at the time did not allow the hiring of a professional producer.While the album cover depicts Kiss in business suits, the only member of the band who actually owned one was Peter Criss. The suits worn on the cover by the rest of the band were owned by manager Bill Aucoin.